Our practice is quite different from that of a typical doctor's office as our approach to health care has always been heavily dependent on the education we provide to our patients. Research shows that patients do better when given comprehensive education on the factors that may cause, worsen, or improve their condition because people are able to relate this information to all of their treatment options. There is so much information that we want to share with you about your particular health challenge during a typical office visit. However, we are often unable to do so because of insurance and/or time limitations on office visits. Given the complexity of many conditions and patients, we would love to have even more time. For this reason, we developed the Extended Group Visits, which is a patient-friendly method that allows us to spend a significant amount of time (up to 1.5 hours) to meet with you. During this time, you will receive a 30-40 minute lecture on one specific health topic (see topics below), followed by a short question and answer period. Then, you will have the opportunity to have your personal issues addressed in a group or privately. We believe that better education helps you make better choices about your health care. Also, our Extended Group Visits are more affordable than our one-on-one sessions. If you see below an Extended Group Visit that you would like to attend, please call us at 949-726-0707﻿ or contact us via email. Heart disease is the leading cause of death among men and women, beating all cancer deaths combined. With 1.2 million Americans suffering from heart attacks and another 800,000 with strokes, we must work together to do a better job of reducing your risk for heart disease. Join us and learn the real numbers to watch! Your risk for heart disease is much more than just your ‘total cholesterol’. We will discuss your goals for cholesterol, and how holistic lifestyle-based solutions can help you avoid, lower, and even stop the need for cholesterol medications. We explore how to calculate your risk for a cardiovascular event and create the best action plan for you. Over 110 million Americans struggle daily with blood sugar issues. Did you know many people with diabetes, blood pressure, cholesterol, and weight issues have the power to control their condition by balancing blood sugar? The challenge lies within knowing exactly how to gain this control. Join us as we learn the effects of various foods on blood sugar and understand advanced nutrition and exercise techniques to take control of your blood sugar and weight issues for a lifetime of better health! There are many emerging, advanced signs that we can assess long before a heart attack or stroke ever occurs. True disease prevention occurs when we identify these early signs and take immediate action to reverse the course BEFORE your problem develops. Wouldn’t it be helpful to know if a food product is good for you? If so, you are in good company! Many patients can be confused or intimidated when looking at calories, fat and carbs on a food label. Join us to learn a whole new way to interpret a nutrition label and identify which marketing claims are legitimate and which are misleading. Don’t miss this enlightening discussion, as we teach you how to decode food labels in your quest to stock the most nutritious foods for you and your family. Deep down inside you know that healthy food and exercise are good for you. But did you know that poor diet and lack of exercise are very often the main cause of many chronic conditions? These conditions include hypertension, osteoporosis/osteopenia, cholesterol issues, fatigue, obesity, hormone imbalances and thyroid issues just to name a few. 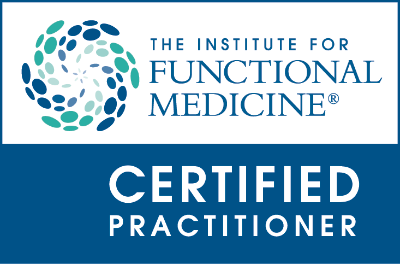 Interested in improving your medical issues without medication? Come join us as we discuss the power of how you eat, how you move and how you manage your stress. These lifestyle-based methods can reverse or treat many common medical issues. Prompting cancer cells to undergo a natural, cell "suicide"
Learn how to avoid currently-known, harmful drug-nutrient and drug-herb interactions. You will learn appropriate dietary changes, how and when to take supplements, and which are the best quality products with proven track records. You will receive a personalized nutrition protocol based on published scientific research and specific to your needs. You will receive periodic laboratory testing recommendations to monitor the efficacy of your lifestyle changes, nutrition, and botanical protocols.